The organising team at Eurobike in Germany notes that it is ‘not only the largest show of new developments in the bicycle industry, but also a great opportunity to learn about all kinds of specialist topics pertaining to bikes.’ With this in mind, the trade show organisers have put together a comprehensive program via this year’s Eurobike Academy. In addition, the Eurobike party on Friday evening, which will celebrate the 200th anniversary of the bicycle, ‘promises to be a highlight once again’. The program of presentations at Eurobike will cover a full range of subjects relevant to the bicycle industry. On the day before the main fair, on 29 August, the European Cyclists’ Federation (ECF) in cooperation with the German Cycling Club (ADFC) will hold the 2018 Smarter Cycling Conference. This year’s slogan is ‘The Connected Cyclist: The Bike Industry’s next Big Market’. This event will be held in the Conference Center West of Messe Friedrichshafen from 11:00 to 17:00 CET. The show itself, whose slogan this year is ‘The (Bike) Future is Female’, will focus its ancillary program toward the target group of women. At 13:00 of the first day of the show, the stage in the East foyer will kick off the program with the ‘Women’s Special’ product presentation. Then at 14:00, a matching themed tour of the fair will begin, which will be repeated each day of the show. On the second day, three presentations will deal with marketing toward women as a target group. The Eurobike Academy begins on the first day, with two presentations on the subject of digitization. One will focus on cycling trends and various e-commerce sales channels. The next will examine how synergies at the local and regional levels can be leveraged to drive the digital transition. Further presentation topics on 30 August will be on the future of mobility, innovation capacity, and development and testing methods. The beginning of the second day of the Eurobike Academy will focus on certifications and standards. Here industry specialists can find out how to attain EU certification as a ‘Bike-Friendly Employer’. Later presentations will be devoted to bike and e-bike safety standards as well as international environmental standards regarding WEEE (Waste Electrical and Electronic Equipment) for e-bikes and electrical components, rechargeable batteries for e-bikes, and packaging. The afternoon of 31 August will cover a wide range of topics, from the Chinese bicycle market, through creative video marketing and storytelling, to digital standards for the bike segment for Bidex, connectivity, product testing, bike traffic planning using app data, and traveling by e-bike. Also on that day, the Cycling Industry Club of the ECF and the ADFC will hold a summit meeting to discuss, among other things, the political influence of the bike industry in the run-up to the German parliamentary election this year. Aside from the 16th edition of Eurobike Travel Talk, the third day of the fair will offer other interesting presentations. Service lifetimes and warranties for e-bike batteries will be discussed at length. Electric bikes will be the focus in the talks on 1 September about safety-oriented driver assistance systems and the relevance of standards and regulations for retailers. Consumer requirements in the bike industry, brand positioning, and doubling sales through Instagram are the topics for other talks on the third day of the fair. The Eurobike party will take place that evening, for which the 200th anniversary of the invention of the bicycle will supply an extra special occasion. The party will also mark the opening of the 2017 Trend Lounge of the bike culture magazine fahrstil.cc, ‘200 Years of Bikes – A Velography’. 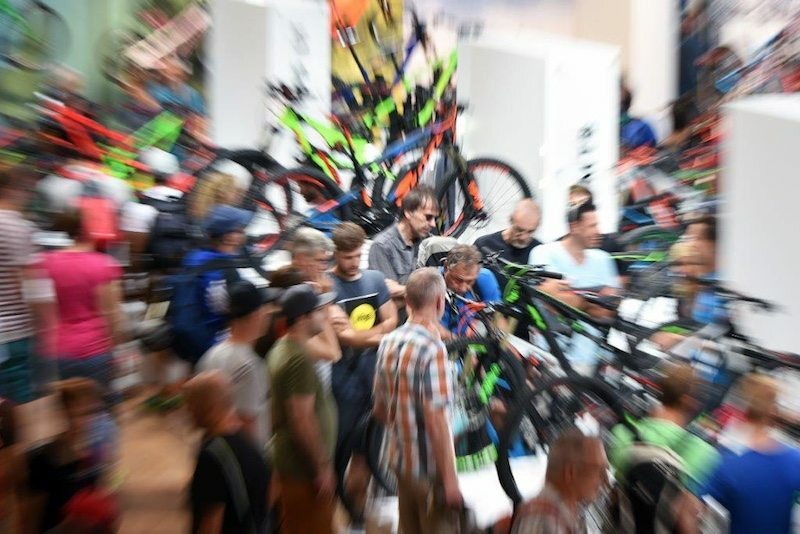 While the first three days of Eurobike are restricted to industry specialists only, on the last day (Saturday, 2 September) the fair will be open to the bike-friendly public for the Eurobike Festival Day. The program that day will focus on shows and sporting events as well as opportunities for product try-outs. Visitors can also expect information to be available on a large variety of topics. For example, there will be advice for parents on buying bikes, helmets, trailers and seats for children. Ambitious bikers will be able to get their seating posture analyzed. Those who enjoy traveling can take in presentations on journeying through Asia and the USA by e-bike. And those interested in the latest innovations can peek at this year’s Eurobike Award winners.